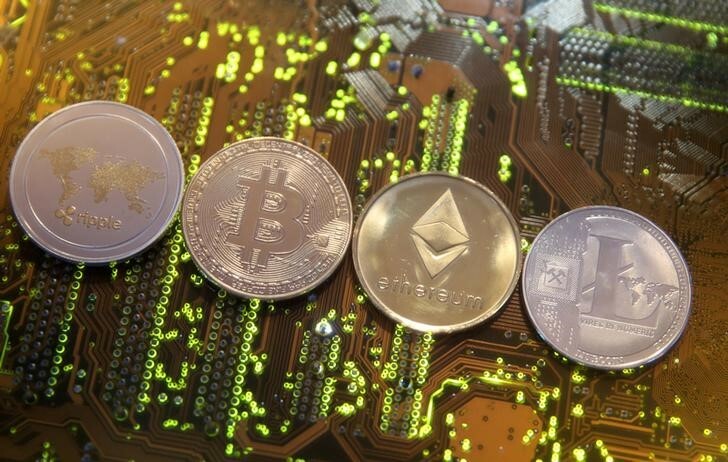 NEW YORK (Reuters) – U.S. securities law can be used to prosecute fraud cases over cryptocurrency offerings, a New York federal judge ruled on Tuesday in what appeared to be the first court decision to address the issue. The ruling from U.S. District Judge Raymond Dearie in Brooklyn allows federal prosecutors to pursue their case against Maksim Zaslavskiy. The Brooklyn resident was arrested in November on charges that he defrauded investors in two cryptocurrencies, violating the federal Securities Exchange Act. Lawyers for Zaslavskiy did not immediately respond to requests for comment. A spokesman for the office of U.S. Attorney Richard Donoghue, which is prosecuting the case, declined to comment. Cryptocurrencies, like the well-known Bitcoin, are digital assets that may be treated as currency by their users, though they are not legal tender. So-called “initial coin offerings” soliciting investments in new cryptocurrencies have raised billions of dollars in recent years. Prosecutors have said that Zaslavskiy last year raised at least $300,000 from investors in a cryptocurrency called REcoin, which he claimed was backed by real estate, and another cryptocurrency called Diamond, which he said was backed by diamonds. In fact, prosecutors said, no real estate or diamonds backed the virtual currencies. In March, Zaslavskiy’s lawyers asked Dearie to dismiss the charges, arguing that REcoin and Diamond were currencies, not securities, and therefore not covered by the Securities Exchange Act. Dearie rejected that argument, writing on Tuesday that the federal securities law must be interpreted “flexibly.” The judge noted that the U.S. Securities and Exchange Commission, which brings civil securities fraud actions, has said that it considers some cryptocurrencies to be securities. Dearie’s opinion and other filings in the case did not cite any previous court decisions addressing whether the federal securities law can be used in a fraud prosecution involving cryptocurrencies. Regulation of virtual currencies is still in its early stages, and Congress has not passed any laws addressing it directly. In March, another federal judge in Brooklyn ruled that cryptocurrencies could be regulated as commodities by the U.S. Commodity Futures Trading Commission.